This necklace is ready to ship. 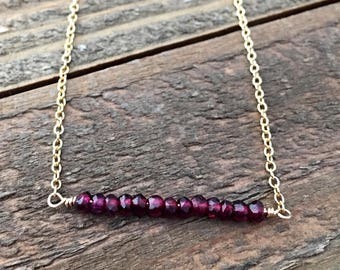 Choose what length of necklace you would like at checkout, and the necklace will ship within two days of the order being placed. 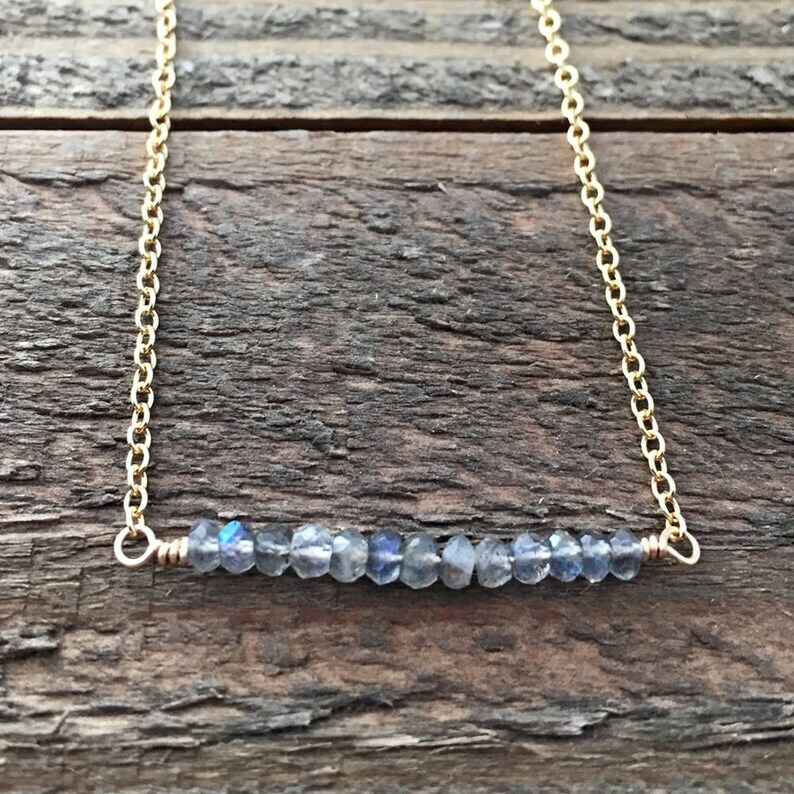 The gemstone bar is created from tiny labradorite gemstones and is wire wrapped with 14 K gold-filled wire. It is on 14 K gold-filled cable chain with a lobster clasp. Please choose the length of the necklace you would like from the drop-down menu. The gemstone bar measures 1 1/2 inches long. Please note, the fourth picture shows coordinating earrings. You can purchase those here.